Rajasthan MBBS Counselling 2018: Office of the Chairman UG Admission Board has released the notification of Rajasthan NEET Counselling 2018 which is going to be conducted at RUHS College of Dental Sciences Jaipur. The registration process has already started and therefore candidates will successfully qualify NEET 2018 and their name appears in Rajasthan MBBS Merit List 2018 will be called for the counselling process. Thus Candidates can get here details of Rajasthan MBBS Cut Off 2018 along with precise details of seat allotment and other related information. Office of the Chairman UG Admission Board is going to conduct Rajasthan MBBS Counselling 2018 in offline mode. The authority will conduct the counselling in two rounds and after which the remaining seats will be filled on the basis of mop-up round. 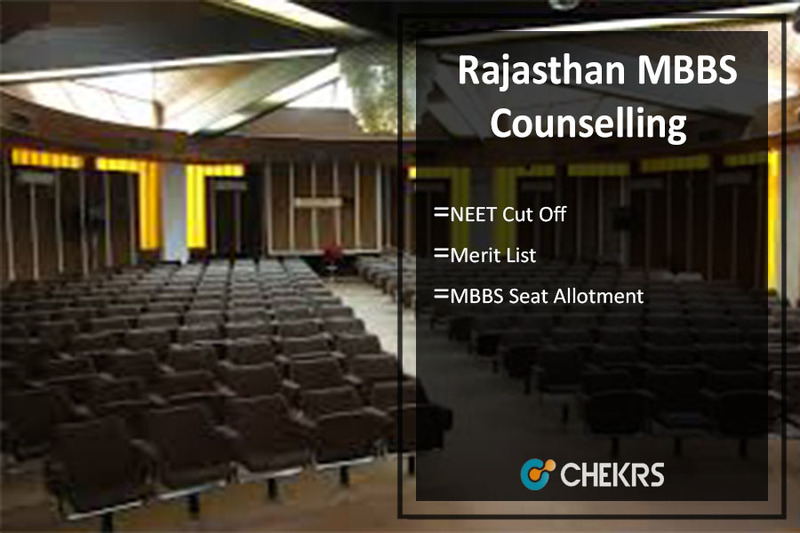 The Rajasthan NEET Counselling Procedure includes a number of subsequent rounds and therefore through the counselling process 85% seats will be provided on the basis of state quota seats and 15% of All India quota seats for admission in medical and dental colleges across Rajasthan. Thus at the end of counselling, the Rajasthan MBBS Seat Allotment 2018 will be conducted for providing admission in Mbbs courses in the government, private and deemed universities across Rajasthan. All the candidates who are eligible for MBBS Admission must keep track of Rajasthan MBBS Counselling Date as discussed below. Candidates who are eligible to attend the counselling process of Rajasthan MBBS Admission must at first go through the process of Rajasthan MBBS Registration 2018, where the applicants need to fill the required details in the prescribed format. After registration candidates need to fill the choice of college and course and lock it as per their preference. The choice once locked cannot be changed after the last date. Applicants must further go through the document verification round, where candidates need to bring the below-mentioned documents along with two copies of duly filled application form. Allotment of seats through online allotment process will be done on the basis of the performance in NEET 2018. Thus at the end of counselling seat will be allocated on the basis of merit. After the counselling process, each candidate shall be given the time as mentioned in the allotment letter, issued online, to join the allotted college and course. Thus candidates must report to the allotted institute, make payment of fee and confirm their seat. If any candidates fail to do so, his/ her seats will be cancelled. The Rajasthan NEET Seat Allotment 2018 will be conducted through online allotment process of all successful and registered candidates through NEET 2018 Result shall be conducted strictly in accordance with the merit list, choice, category and upon availability. Thus at the end of first counselling, all the remaining seats on the basis of next ranks will be filled up in NEET UG Second Counselling Round and in case of additional seats Mop up round will be scheduled.